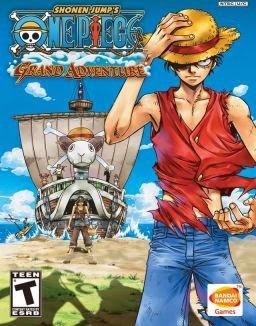 One Piece: Grand Adventure is a video game for the Sony PlayStation 2 and the Nintendo GameCube. 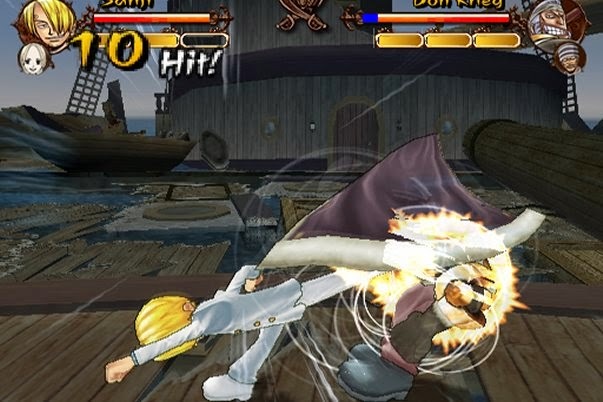 Unlike other One Piece video games, this one was developed specifically for the U.S. 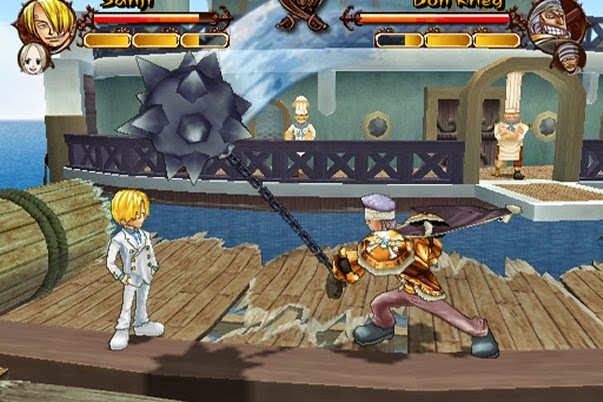 The gameplay is exactly like the U.S. One Piece: Grand Battle!. 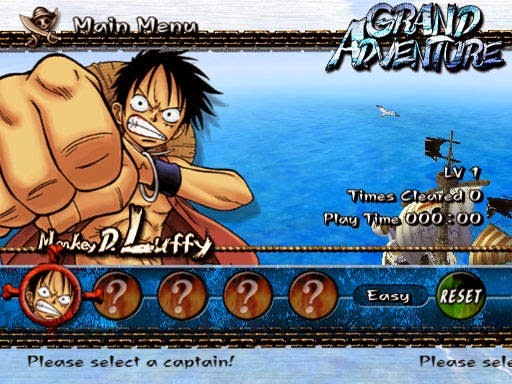 Based on the popular anime and manga series One Piece, Grand Adventure contains more characters, levels, and features, some of which were cut out of the U.S. One Piece: Grand Battle!. The game was also released in Korea, Australia, Spain, and the U.K. 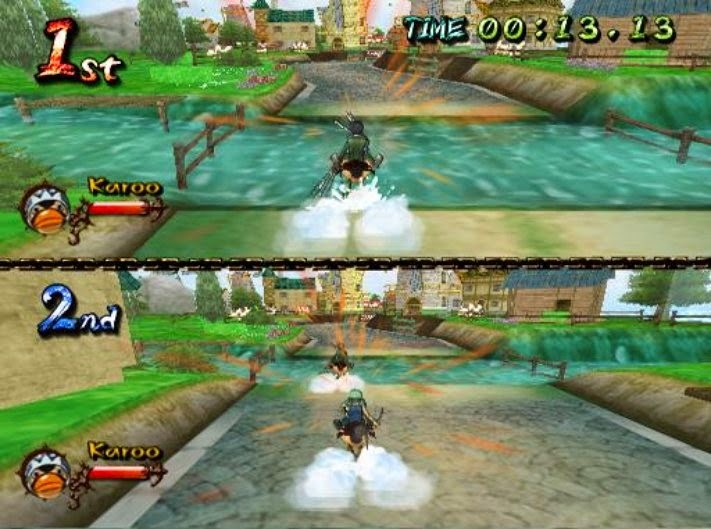 The main mode of Grand Adventure is Adventure Mode, in which the player must win all 10 levels to complete. 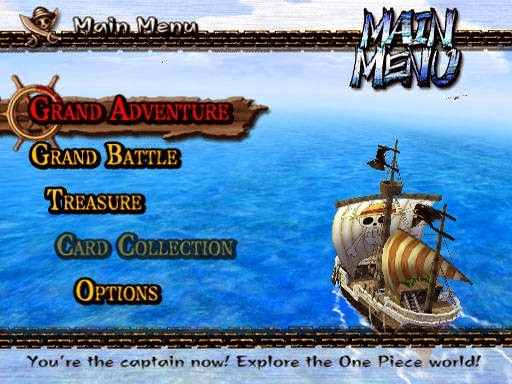 The player uses the Going Merry to sail the Grand Line and visit various islands. On these islands, the player will engage in combat against other characters. The players defeated may join your character's crew, or play in various mini-games. In the fights, characters gain experience points and can level up, where the player can level up certain stats of the character (HP, attack, defense, etc.). Como faço pra baiar ?